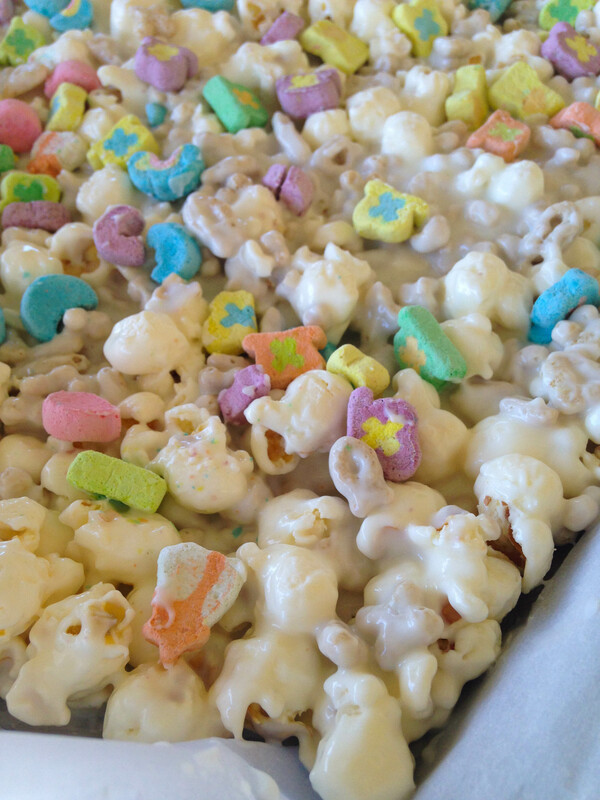 I took one of my beloved childhood favorites and covered it in white chocolate. Holllllller. 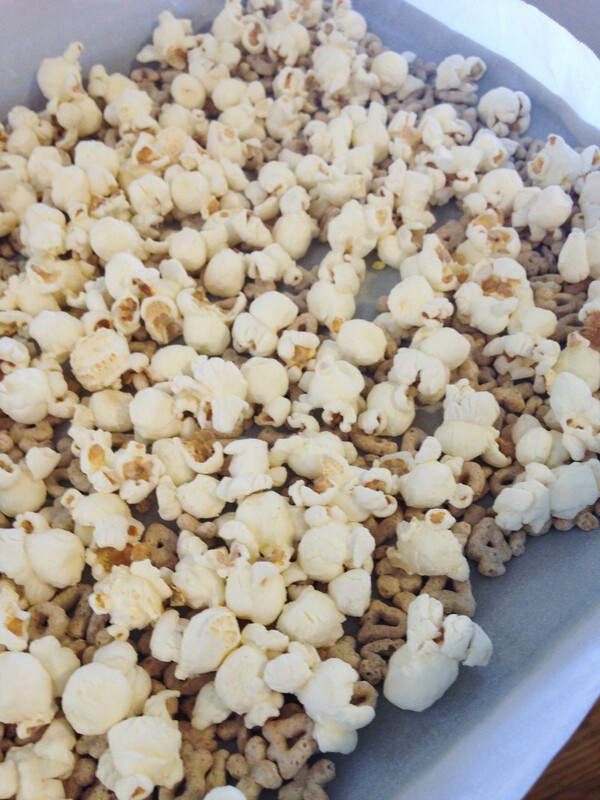 To add a sweet/salty snack element, I added white cheddar popcorn to the recipe and served it in a bowl as a snack mix/bark. I made one pan with popcorn and one without. I like the one with popcorn better. However, both are absolutely, positively, “magically delicious”! We are halfway through March, people! That means that Spring is finalllllly within reach! Halllllllelujah! It cannot come soon enough. We have all “sprung forward”, my mom is already asking about our Easter plans, and people are leaving on trips for Spring Break. And, speaking of Spring Break trips, Joey and I are leaving for good ol’ Mississippi on Saturday. It will be my first trip to the South, and I’ve never been more excited for humidity, swampland, and authentic Southern food. More updates on that in the coming weeks! But for now, back to this chocolate-covered cereal. I figured I had to post something St. Patrick’s Day-ish. So this is what I came up with. This crunchy, sugary-sweet bark recipe is stinkin’ addicting. 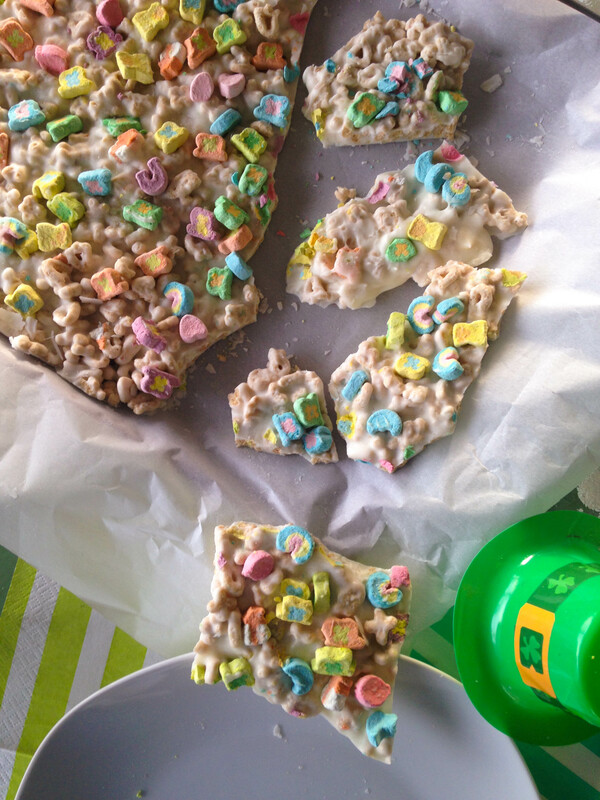 I made (and documented) the first batch using just Lucky Charms and a package of white almond bark. 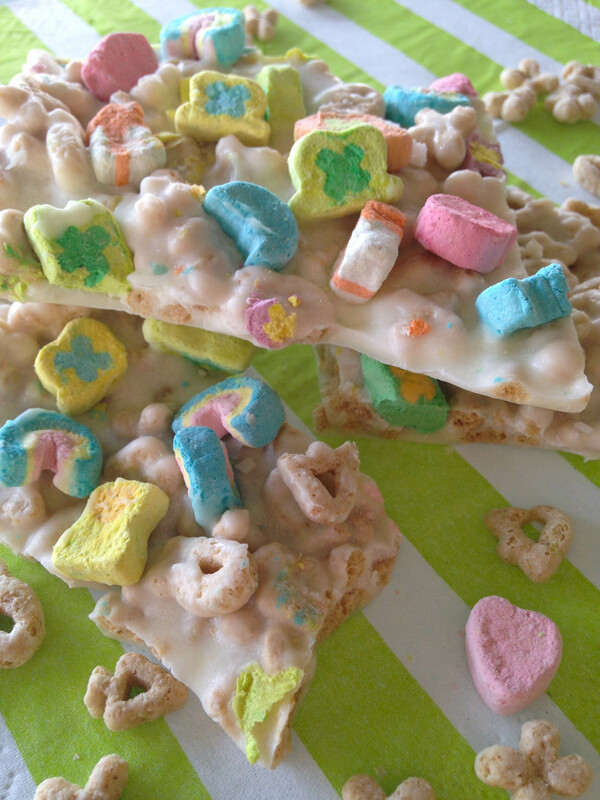 You just separate the cereal–marshmallows in one bowl and hard cereal pieces in another–and melt the white chocolate (I used almond bark), combine it, and voila! It turned out spendidly. Earlier this week, though, I decided to make another batch for our bible study group. I just felt like it needed a little more salty-sweet action. Want to know what I did? 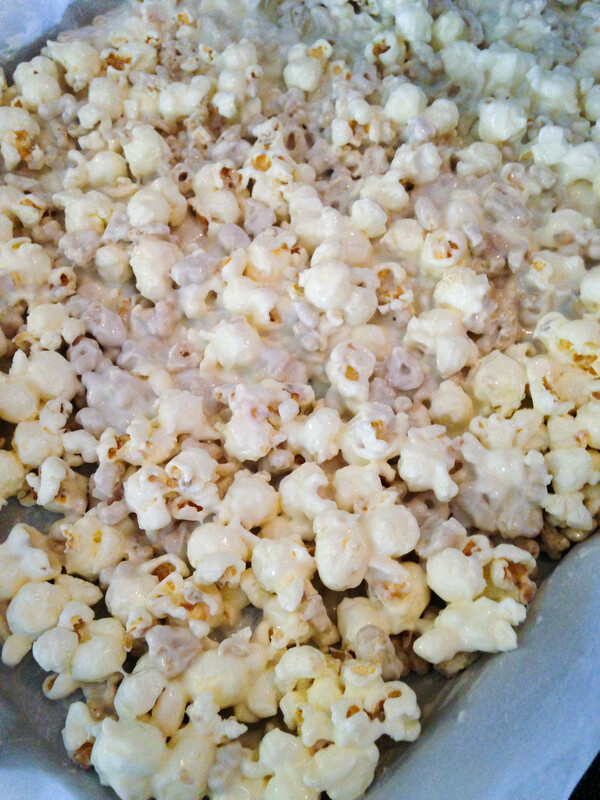 I bought a bag of White Cheddar Smartfood Popcorn and mixed it in! It was the crown jewel. My friends could not get enough of it. (See additional pictures at the bottom of post.) 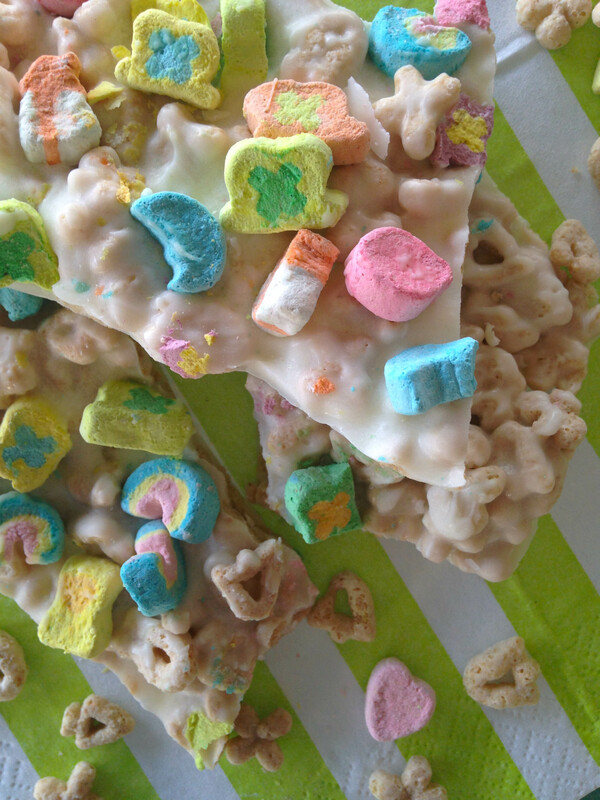 First you separate the hard pieces from the marshmallows (and try not to eat all the marshmallows). If you are adding popcorn like I did, you can layer the popcorn evenly with the cereal pieces at this point. 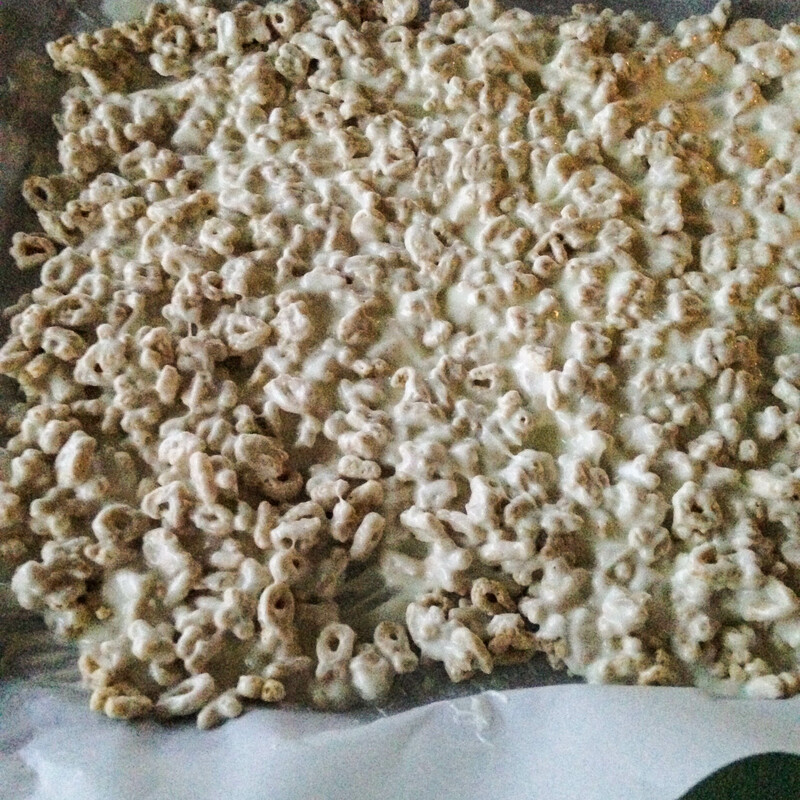 Then you want to melt a pound of white chocolate or almond bark and pour it onto the cereal bits. You’ll have to mix it together and then spread it out again to make sure it all sticks together in the end. Let’s make it pretty! Add your marshmallows and push down gently so that they stick into the white chocolate. Let it sit for a few hours and break it all up! 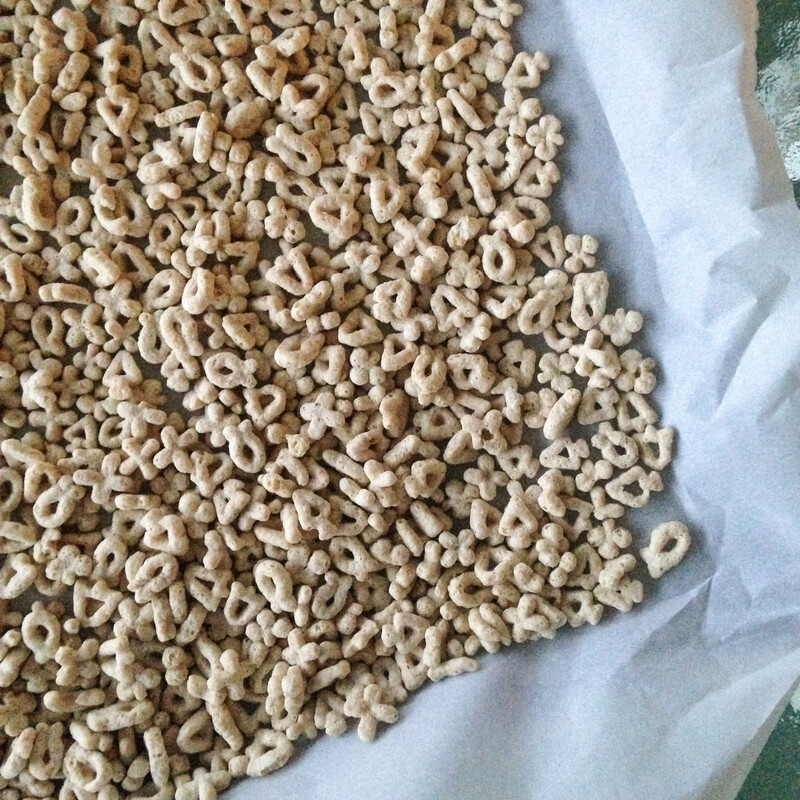 You’ll be in your own Lucky Charms heaven. Get out a baking sheet or jelly-roll pan and line it with parchment paper or foil. Melt your white chocolate according to package instructions- you MUST heat in intervals. 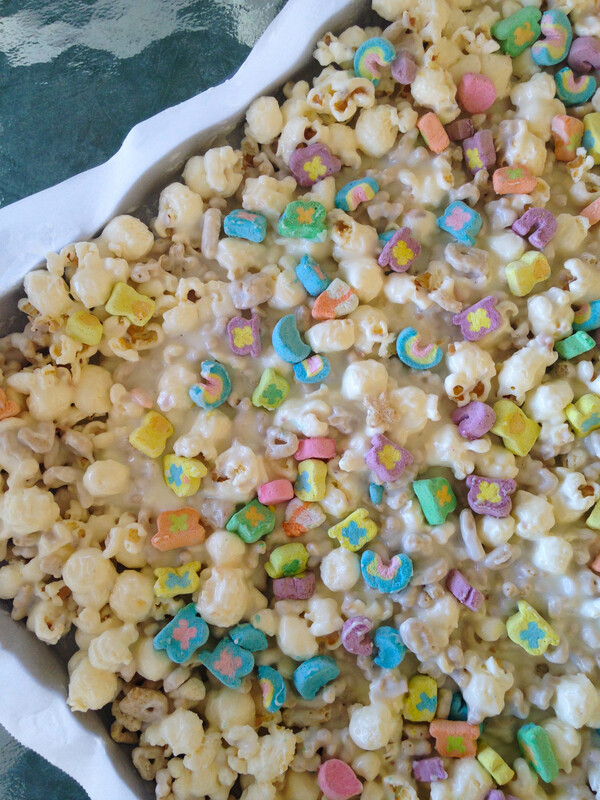 Pour melted chocolate over cereal and mix gently to combine, pat cereal back together to form a layer again. Before chocolate hardens, top with marshmallows and press down lightly- just enough that you don’t break marshmallows, but hard enough that they stick into the bark. Let your creation cool and harden.